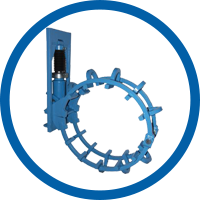 Our Hydraulic External Pipe Clamps have a wide gap, which allows the welding of the root up to 90% before removing the clamp. 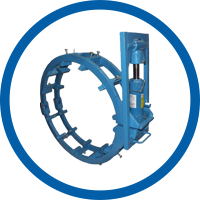 Edge misalignment can be eliminated by means of jackscrews or a wedge which is placed under the alignment bridge. The air gap can be adjusted by means of chisel. 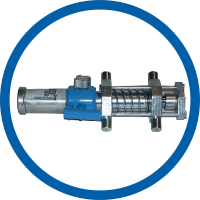 The hydraulic cylinder, which is available as an option, operates in all positions and can be used for all pipe diameters. 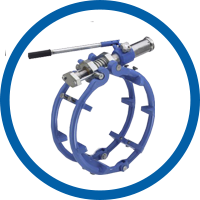 The external line-up clamp is available in a medium, heavy and heavy-duty version for pipes from 12-80 inch diameter.